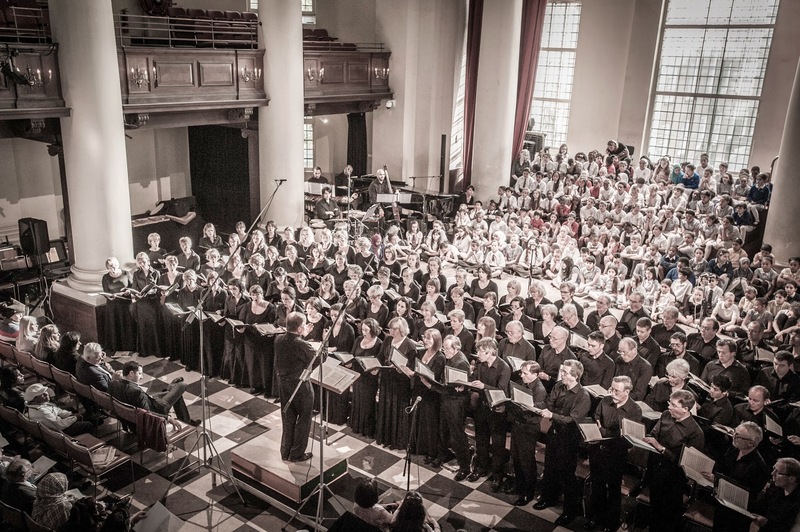 The climax of The Bach Choir Outreach Project’s 2012/13 season was a concert of folk songs in St John’s Smith Square, conducted by our Musical Director, David Hill. More than 150 children took part, with some 100 members of The Bach Choir and professional musicians Philip Scriven at the piano and Dan Swana, Matthew Green and Tim Houston forming a jazz trio. The programme of folk songs was largely devised by Gwyn Arch, a vastly experienced arranger and conductor, especially of children’s choirs. Gwyn wanted as much interaction between the children and The Bach Choir as possible, and his intricate arrangements were quite challenging for the children who had to learn everything by heart. Gwyn Arch’s arrangements included a number of solos for the children as well as for members of The Bach Choir. Some of the children were nervous at first, but they performed well on the night and their success has encouraged others to say they think they could do it too. 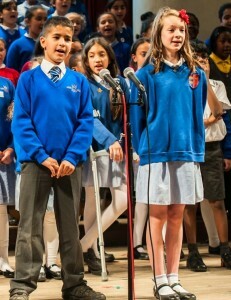 Each school was invited to perform a number on its own. Four of the seven schools did so and did well. Again, some of those that didn’t manage to rehearse and perform a piece of their own have seen that others can do it. The concert was enormously well received by the audience, consisting mainly of parents and teachers, particularly the last number, Cockles and Mussels, when the audience joined in the encore and the children began bopping, Proms-style, to the music. We realised early on that the support of parents is crucial in ensuring the success of our Outreach Project and this concert saw a marked increase in the number of parents attending. 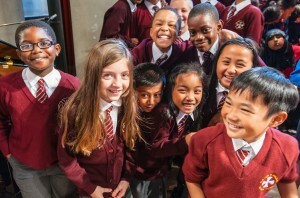 Another encouraging sign was the increase in the number of children taking part from one particular school that had been in difficulty: it had been given notice to improve by the inspectors and its music specialist had left. 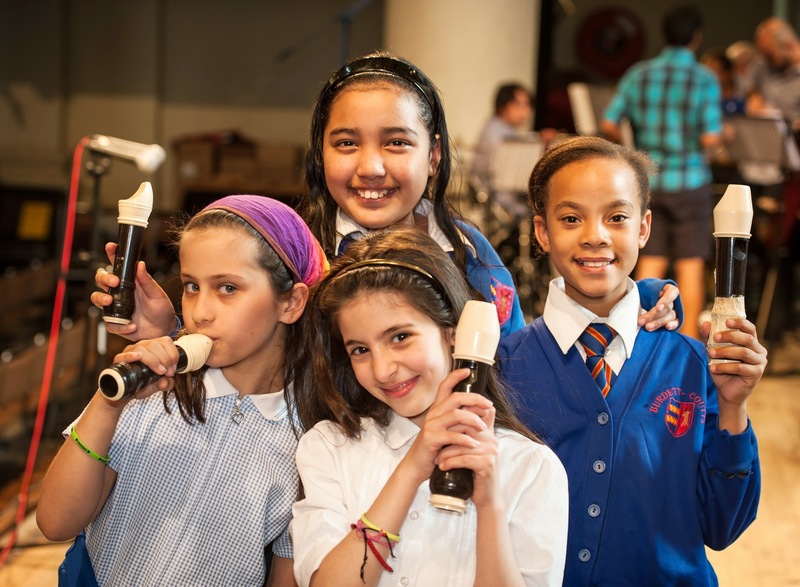 Very few of its children took part in last year’s concert, but this year, thanks largely to the enthusiasm and determination of the deputy head, four or five times as many did.